When you are a child you often think that more is better. I have learned over the years that sometimes less is more. Today's poetry book is a perfect example of this. This is not a weighty tome. It is not packed with artwork and text. Instead it is spare, and simple, and incredibly beautiful. In the book gorgeous photos are paired with lines of verse written by Langston Hughes, and the words celebrate people of all kinds. Photographer: Charles R. Smith Jr. In 1923, Langston Hughes, the African-American poet, wrote a poem that later came to be called “My People.” The poem is only thirty-three words long, and in it Langston Hughes invites his readers to see “his people” through fresh eyes. He invites them to see how beautiful they are, comparing them to the night, the stars, and the sun. Not only are their faces and eyes beautiful, but their souls are too. Using stunning full page sepia photographs, Charles R. Smith Jr. captures the essence of Langston Hughes’ poem. His photos show people of all ages smiling, laughing, and being themselves. The photos are indeed beautiful, and they give Langston Hughes' poetry a new dimension that readers of all ages with admire. When I was a child I went through a period when everything I drew had flowers on it. Then I drew peace doves and nothing but peace doves. Then I was 'into' doodling with gold, white, and silver pens. Every artistic fad was inspired by something that was going on in my life at the time. Today you will meet an artistic bird who, because he is sad, finds himself going through a blue period. When Cat and Owl come to Bird to have their portraits done they are rather disappointed to see that Bird has painted them blue too. Bird’s friends decide that something has to be done to pull Bird out of his state of blueness. When a friend goes away our lives can really be turned upside down. Suddenly nothing feels quite right, and we don’t know what to do with ourselves when our bestie isn’t around to share everything. In this sweet picture book Marion Deuchars explores, with sensitivity and touches of humor, what it feels like to miss a friend. As the story unfolds we see how important it is to try to hold onto the good things even when we are feeling sad. I love trees. Whenever life gets too hard or when my heart is aching, I head up into the hills to spend some time amongst the tress. Something about their quiet presence comforts and grounds me. I was therefore delighted to come across this wonderful book of poems. What could be better than a book that celebrates trees! When I was growing up one of my favorite pieces of music was Pictures at an Exhibition. The composer uses music to describe what he saw when he visited an art exhibition at the Imperial Academy of Arts in Saint Petersburg in 1874. I was therefore very interested when I heard that a group of poets had written poems that were inspired by works of art in the Metropolitan Museum of Art. It is fascinating to 'see,' through their words, what the poets saw on the walls of the museum. Every person sees a work of art differently. Some may notice the forms in the artwork, while others may be captivated by the colors. Some may only see the story that the artwork seems to be telling, and others may be drawn to examine how the artwork was created in the first place. Everyone’s reaction to the work is therefore different and unique. 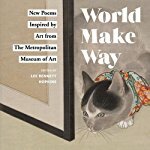 In this splendid book nineteen poets have created poems that were inspired by works of art that are on display at the Metropolitan Museum of Art. The first of these is a portrait by Gustav Klimt. In it we see a girl in a white dress looking at us. Her hands are behind her back and there is an air of impatience about her. Certainly this emotion conveyed itself to Marilyn Singer. In her poem Paint Me we hear the voice of the girl who wants Klimt to “Hurry up and / paint me.” She has things to do and, furthermore, she is tired of the dress with its flowers. She is ready to be on the move; it is time for the world to “make way,” for her and her restless energy. It is fascinating to see how the poets featured in this collection reacted to the artwork. Sometimes readers will see what they saw and perhaps feel what they felt, and sometimes the poet’s ‘take’ on the artwork will be a surprise. We will pause and take in their perspective and marvel at the way in which perception can be so different from person to person, and so interesting. At the back of the book the editor includes information about the poets who contributed to the book. He also tells us about the artists, whose work is featured on the pages. Stepping out of our comfort zone is something that many of us are very reluctant to do. We like to stick with things that are familiar and that feel safe. The problem with doing this is that a life without adventures can be rather dull. You also learn less about yourself and the world when you restrict yourself. In today's picture book you will meet a koala who is too scared to venture down from the tree that he calls home, and as a result his life is both lonely and predictable. Kevin the koala has simple needs. He likes to have a tree to sit and nap in, and leaves to eat. He likes a quiet life, which is why he likes to stay in his tree and avoid change. From his vantage point the ground beneath him seems “a frightening place,” and so he stays well away from it. Trying new things just isn’t something he is interested in doing. One day Wombat invites Kevin to “come down here and play,” but Kevin stays put. Even after the roos tell him that there is nothing to be afraid of on the ground, Kevin declines to join them; he firmly clings to his tree. Day after day Kevin sits in his tree, living his life the way he has always done. Then one morning Kevin wakes up and something is very wrong. A bird is pecking on his tree. In fact the birds is pecking the tree so vigorously that the tree starts to list and lean. Closer and closer to the ground it gets, with Kevin holding on for dear life. The other animals gather below, offering to catch him if he will just jump, but Kevin is too scared to do something so dangerous. All too often we are prone to holding on to things that are familiar and safe. We avoid trying new things because they are unfamiliar and scary; we cannot be sure how things will work out if we try these new things. In this amusing picture book, we meet a koala who resists change at every turn, until something happens that turns his life upside down. Children will be fascinated to see how things work out for Kevin. and they will delighted to discover that his story has a surprising ending. When I was ten years old I was lucky enough to cross the Atlantic in an ocean liner. Soon after dawn one summer morning we sailed past the Statue of Liberty and I have never forgotten that moment. Many years later I was able to see the Statue of Liberty up close, and I also visited Ellis Island. I have read the poem that is inscribed on the statue and that is now part of this country's history, and I feel great pride to live in a place that has provided sanctuary to so many refugees over the years. Today I bring you the story of the poem and I hope the narrative lifts you up and inspires you. When Emma was little she had a very comfortable life living in a lovely, large home with her mother, father, and siblings. She lacked for nothing, and was able to indulge in her love of books. She had the time to read, and spent many hours writing stories and poems. The people she spent time with came from similarly comfortable backgrounds, and the world of New York’s well-to- do people was the only one she knew. Then one day Emma visited Ward’s Island in New York Harbor and there she met immigrants who had traveled across the Atlantic as steerage passengers. They were poor and hungry, and many of them were sick. They had so little and had suffered so much. Like Emma, they were Jews, but unlike her they had been persecuted and driven from their homes. Friends and family members had died, and now here they were in a strange land with no one to assist them. Emma was so moved by the plight of the immigrants that she did her best to help them. She taught them English, helped them to get training so that they could get jobs, and she wrote about the problems that such immigrants faced. Women from her background did not spend time with the poor and they certainly did not write about them in newspapers, but Emma did. Then Emma was invited to write a poem that would be part of a poetry collection. The hope was that the sale of the collection would pay for the pedestal that would one day serve as the base for a new statue that France was giving to America as a gift. The statue was going to be placed in New York Harbor and Emma knew that immigrants, thousands of them, would see the statue of the lady when their ships sailed into the horbor. What would the statue say to the immigrants if she was a real woman? What would she feel if she could see them “arriving hungry and in rags?” In her poem, Emma gave the statue a voice, a voice that welcomed all immigrants to America’s shores. 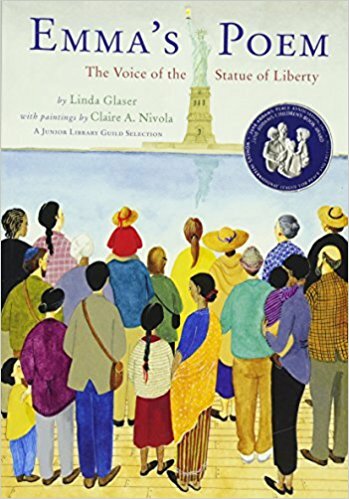 In this wonderfully written nonfiction picture book the author uses free verse to tell the story of Emma Lazarus and the poem that she wrote. The poem was inscribed on a bronze plaque that is on the wall in the entryway to the Statue of Liberty’s pedestal. It has been memorized by thousands of people over the years, and has come to represent something that many Americans hold dear. At the back of the book readers will find further information about Emma Lazarus and her work. A copy of her famous poem can also be found there. Soon after I started reviewing books I read the Poppy and Rye series written by Avi. In some of the books we meet Ereth, a foulmouthed, grumpy, and incredibly lovable porcupine. I adored Ereth and think of him every time I see a picture or a video of a porcupine. I was therefore naturally drawn to today's picture book. 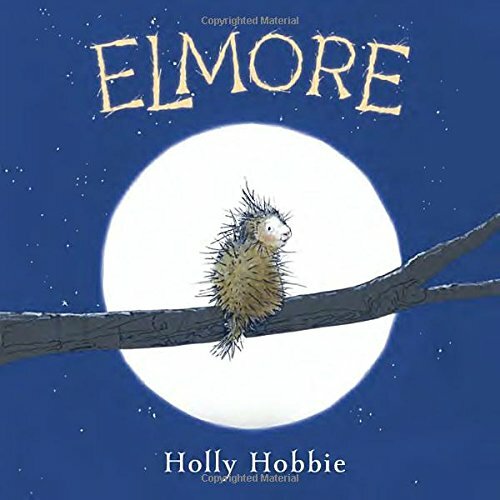 In the story we meet Elmore, a porcupine who has a very big and troubling problem. 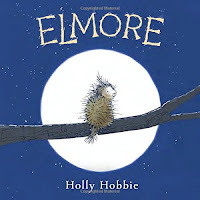 Elmore is a porcupine and he lives in a big, old maple tree. He lives in the tree by himself, which is what porcupines do. One would think that he would be used to the solitary life by now, but the truth of the matter is that Elmore cannot help feeling a little lonely. One day Elmore decides that he will try to get some friends. He puts up a sign that reads: “Friends Wanted.” He soon discovers that the other animals in the forest are reluctant to become his friends because he is just “too prickly.” If they come to close they are likely to get “needled, nettled, prickled,” which, not surprisingly, they are not too keen on. Elmore’s quills are proving to be a problem but they are there for a reason. They protect him, and his uncle reminds him that Elmore “wouldn’t be a porcupine without quills.” His quills are beautiful and he should value them. Elmore’s uncle’s kind words warm him, and they also give him an idea. So many people find it hard to fit in because they are different in some way. How do you get people to accept you when they won’t even give you a chance? What do you do when they write you off from the get go? This wonderful book explores how one determined porcupine finds a way to show the animals in his world what he is like on the inside. After all, that is the part of an animal, or a person, that really matters. Being prickly on the outside does not mean you are prickly all the way through. Readers who enjoyed the Puddle and Toot books are going to love this beautiful new title from Holly Hobbie. When I first started reviewing poetry titles I was sent a book full of haiku poems. I fell in love with this poetry form and have made a point of seeking out haiku poetry books ever since. Today I bring you a review of a book that tells a delightful story using a series of haiku poems. 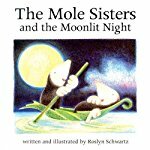 The story describes an adventure that a girl and her friends take, and there are also natural history and environmental themes woven into the narrative. As they sail, Tilly and her koala friend Yuki make use of the books that line the walls of Tilly’s stateroom. They read, study, and sketch, following in the footsteps of Katherine Routledge, who also sailed to Easter Island in 1913. Eventually they arrive at their destination; Easter Island is in front of them with its majestic rocky shore and its stone statues. The travelers go ashore where they start to explore. Donning diving gear Tilly and Yuki enter an ocean wonderland where fish, sea turtles, and other creatures live. Next Tilly and her friends visit some ruins where horses “roam freely.” They have a picnic, enjoying being in such a beautiful place. Then they look out to sea from the highest place on the island and they discover that a pirate ship is headed their way. Tilly knows all too well that pirates cannot be trusted, and sure enough when the pirates come on land they steal the eggs that the sooty terns have laid on the ground. The birds can do nothing to rescue their precious eggs from the greedy poachers, but Tilly can. This delightful book takes young readers of a wonderful journey of exploration across the ocean to Easter Island. The tale is told using haiku poems, and it is accompanied by lovely artwork. At the back of the book readers will find further information about Tilly’s heroes: Charles Darwin, and Katherine Routledge. Wishing all the mothers who love and care for their children and their animal companions a wonderful Mother's Day. There are certain authors and illustrators whom I follow with great interest. I review all their books, and I keep my copies close at hand so that I can look at them again and again. One of these author illustrators is Peter R. Reynolds. He creates books that explore big issues and that celebrate things like creativity, compassion, diversity, and now the power of words. Not surprisingly, considering what I do for a living, this book delighted me. Is explores the idea that words are powerful, beautiful things when used in the right way. Happily Jerome glues all the words he has collected into scrapbooks, and over time his collection grows so large that he starts to categorize the words. One day Jerome is carrying a huge pile of his scrapbooks when he slips and the books tumble to the floor. Pieces of paper covered with words go flying. Jerome begins to pick up the words, which are now all “jumbled” up. Big words are next to little words, and words that one would normally never put next to each other are side by side. Jerome begins to explore his words in a new way, stringing them together to create poems and songs, and to create sentences that are strong and “powerful.” One might think that doing this would be enough for any collector, but Jerome has a word idea that he wants to share with the world. 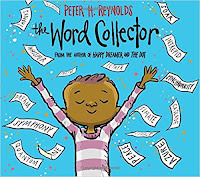 Peter H. Reynolds has a gift for creating books that make you think. The ideas he shares with his readers are so meaningful that they persist in our minds and hearts long after the book has been closed. 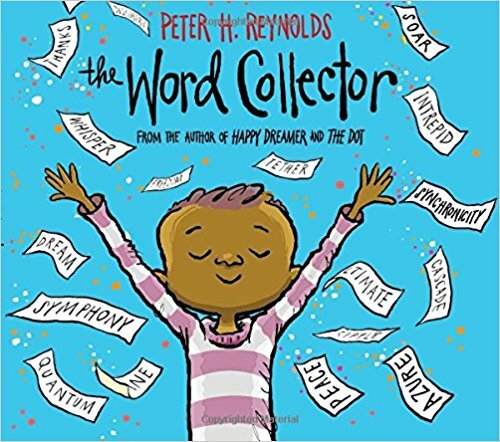 Like his stories Ish and Dot, The Word Collector, makes us pause in our busy day to consider the world around us. We are reminded of the fact that words have power; that they can make our world a richer and better place when they are used thoughtfully. 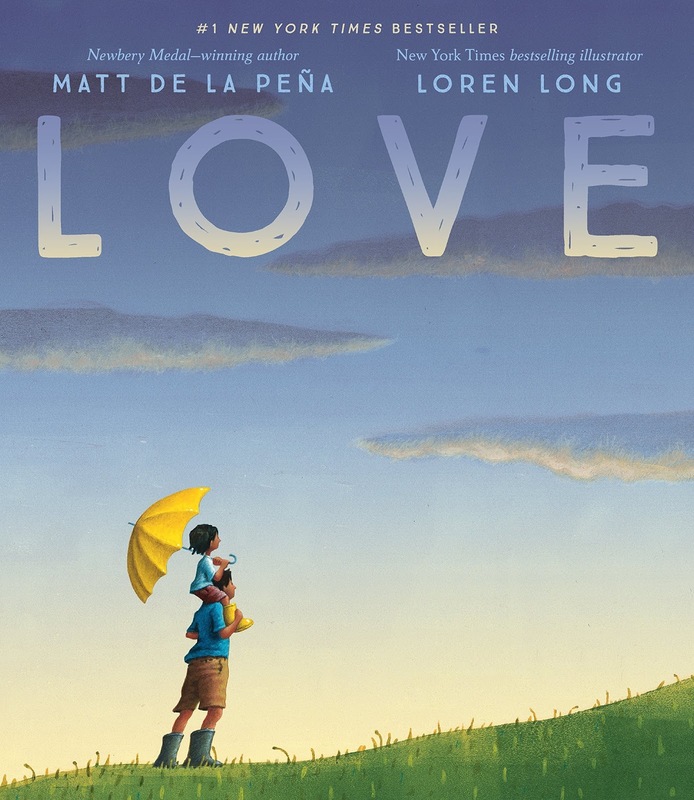 Both children and adults alike will love this title, and they will appreciate the message that the author is sharing with us: love words and use them to make your life and the lives of others richer. I cannot remember a time when I wasn't interested in animals. I can recall lying on my stomach and watching ants for hours while a garden party was going on around me. I had pet snails and beetles, tadpoles, and worms. I was over the moon when my aunt gave me a pet turtle, and devastated when the poor little thing had an unfortunate accident. The wonderful thing about animals is that they can be found just about anywhere, no matter where you live. 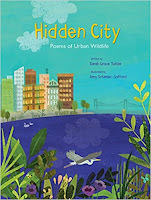 Today's wonderful poetry title introduces us to some of the creatures found in cities and towns. If you live in a city or town you may think that your environment is devoid of nature but you would be wrong. There are animals and plants of all kinds living around you, and all you have to do to see them is a stop and look; listen, watch, and wait. 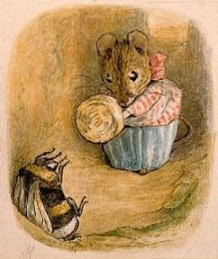 In our homes there are busy little mice. If you are up late at night when all is quiet you might see a mother mouse running to and fro as she rips paper and scurries to her home only to return to get some more. She is building a nest for the babies that will probably soon be born. Outside, on a rainy day, you might spy sparrows huddled together. There they “chitter-cheep softly” while they wait for the rain to slow down and eventually cease altogether. The rain brings forth wonderful surprises too. Under a tree you might see a fairy ring of mushrooms grow. They appear seemingly overnight, a circle of delicate little pale cream umbrellas among the grass. By a fountain you might see some pigeons dipping, strutting, and cooing. The males flaunt their courtship dance, hoping that their performance will impress the watching female. In the park pond, ducks tip up, their tails in their air, their bills eagerly seeking food under the water. Busily they search until up they pop happily eating. On a warm summer night, beneath the glow of a street lamp, moths congregate. They flitter this way and that and then, out of nowhere, a bat swoops in and snatches one of the insects out of the air. 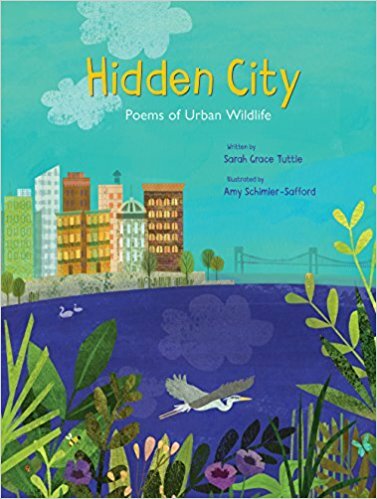 In this wonderful book, multimedia illustrations are paired with delightful poems to show young readers that urban environments are full of wild plants and animals. 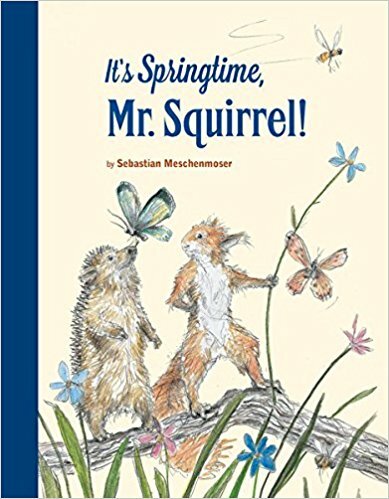 The author and illustrator take us through the seasons so that we get a full and rich picture of nature’s annual cycle, and we get to meet all kinds of wonderful living things on the pages. Poetry Friday with a review of Songs and Verse by Roald Dahl. There is no doubt that Roald Dahl is one of the master craftsmen in the children's book world. 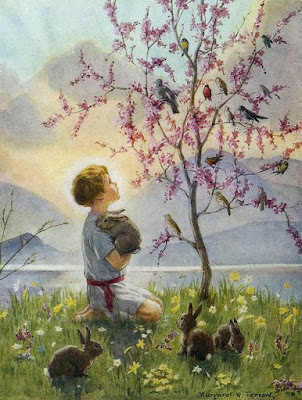 He wrote wonderful stories like Matilda, Charlie and the Chocolate Factory, and The BFG, and he also wrote dozens and dozens of wonderful poems. Today I bring you a poetry title that contains poems from his story books and also poems from his poetry collections. Beautifully illustrated throughout, this is a wonderful book to share with children. Roald Dahl has been delighting children with his unique stories since his first books came out in the early sixties. Many of his tales include hilarious songs and sections of poetry that appeal to young readers enormously because of their outrageous content and clever use of language. Dahl also wrote three poetry collections in the 1980’s: Revolting Rhymes, Dirty Beasts, and Rhyme Stew. In this superb collection many of the wonderful songs and snatches of verse from the story books, as well as excerpts from the poetry books, have been brought together. Better still, renowned illustrators from all over the world have illustrated the poems and songs. Readers will get to see the art of Chris Wormell, Chris Riddell, Joel Stewart, Babette Cole, Axel Scheffler, Lauren Child, Alexis Deacon, and others. Quentin Blake, who illustrated so many of Roald Dahl’s books, has created some charming drawings for this book as well. Divided into sections by subject matter - “Unlikely Creatures,” “Poisonous Possibilities,” and so on – this is a collection that Roald Dahl fans will love to dip into. Within its pages they will find the songs of the Oompa-Loompas, and the Centipede’s song from James and the Giant Peach. At the other end of the spectrum they will find the terrifying words from “Down With Children” from the book The Witches. All in all this is a marvelous book, which truly celebrates Roald Dahl’s gift for creating poetry that children enjoy and want to read. We are experiencing the contrary kind of weather that is the norm around here in spring. Snow showers on the mountains, cool temperatures in the valley, then warm temperatures, then heavy rain, then cool temperatures again. Throughout all this meteorological chaos the trees flower. The blossoms of showy cherries, demur pears, and delicate almonds all delight the eye. Today I bring you a book that celebrates these trees and more. 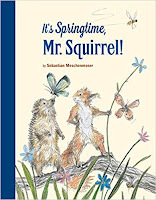 There are lots of book reviews of books about spring on the TTLG Spring Feature Page. The March and April issue of Through the Looking Glass. Happy Friday everyone. The new issue of Through the Looking Glass is now online. In this issue the special feature focuses on books that are about saving the environment. 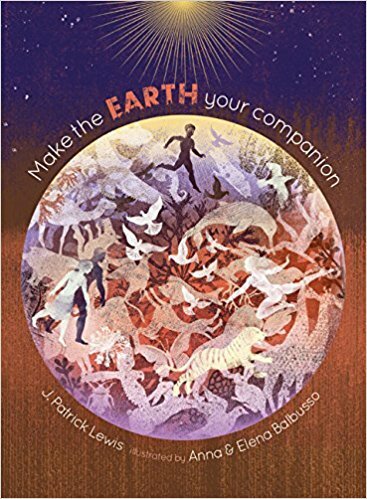 Some of the titles that I have reviewed are informative, some are how-to books, and others celebrate the people who have worked tirelessly to save wild spaces and wildlife. Then there are the stories that show us how important it is to save the environment. 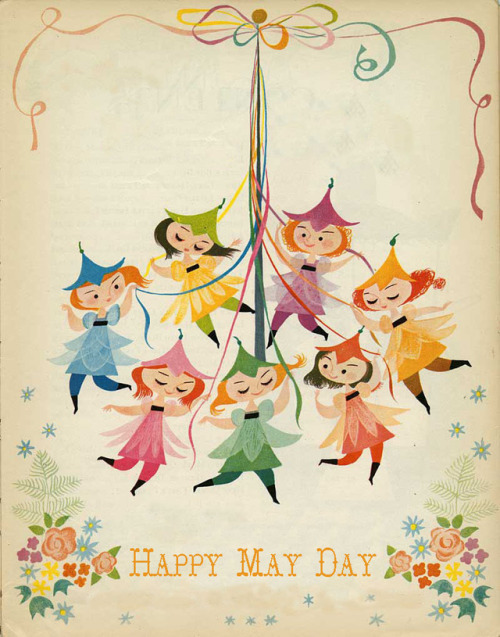 There is also an Arbor Day feature that looks at stories about trees. Who doesn't love trees! March is Women's History Month here in the U.S. so I have added new books to the Women's History Month feature that I hope you will enjoy. Do visit the new issue to see what is new. I am lucky enough to share my home with three wonderful felines. Legolas is a big, fluffy, ginger tabby who is easy-going and easy to please. Sumalee and Sarafee are two very opinionated Siamese cats who are fussy, difficult, and demanding. They remind me a lot of the cat whose story is told in today's Poetry title. Won Ton is also a demanding fellow and he is determined to keep the humans in his life on their toes. In a shelter there is a cat. He is an elegant beast with beautiful blue eyes. In his cage the cat has a bed, a bowl, and a blanket, and he tells himself that what he has is “just like home.” Or least that is what he has been told. After a trip in a car, the cat arrives in his new home, and the process of naming him begins. He believes that he deserves a name fitting for an “Oriental Prince.” He ends up being called Won Ton, and he is not impressed. 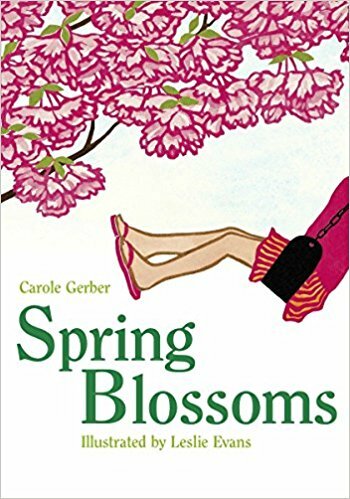 This wonderful tale, which is told using a series of haiku poems, is funny, sweet, and sometimes touched with just a little uncertainty and anxiety. It is a story about new beginnings that readers of all ages will be able to connect with. 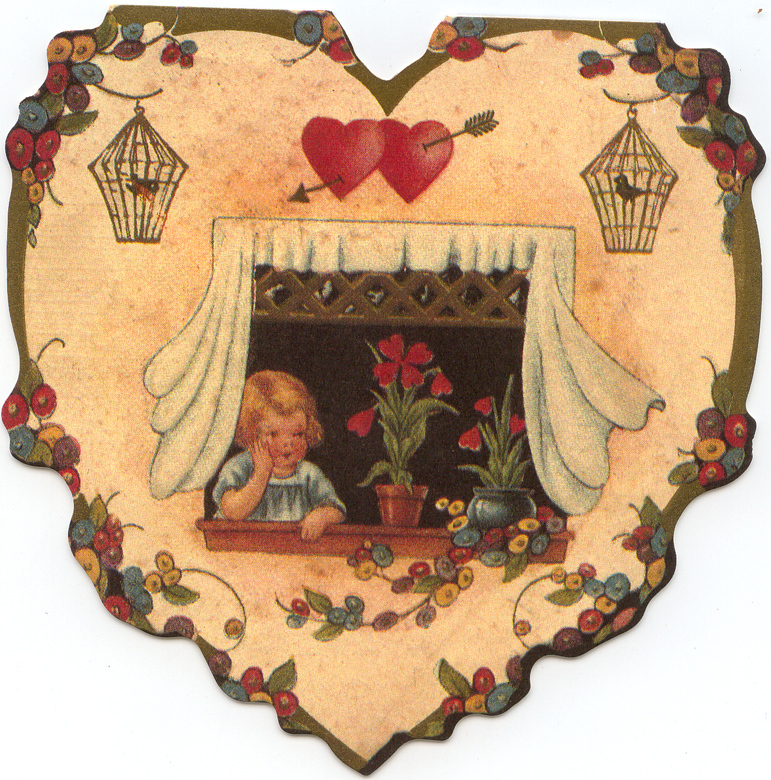 Wishing you all a wonderful Valentine's Day. I happen to really like Valentine's Day, but I know a lot of people don't. There are some people who find the whole idea of giving someone a Valentine just too mushy for words. What will people think if they find out that they succumbed to the lovey-doveyness of Valentine's Day? 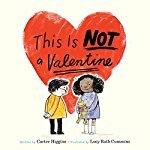 In this deliciously funny picture book we meet a boy who refuses to have anything to do with Valentine's Day nonsense; and yet this does not mean that he does not have feelings for a certain little girl who has curly black hair and a sweet smile. It is Valentine’s Day and while they are waiting for their school bus to arrive, a girl gives a boy a Valentine’s Day card. The boy is shocked. He is not in favor of Valentine’s cards, gifts, and all the mushy stuff that goes with these things. However, he does give the girl a little bouquet of dandelions, though he tells her that it is not a Valentine because the bouquet is not fancy. Furthermore most of the wishes have been blown off the fluffy, white dandelion heads. Then the boy gives the girl his cape, which is not a Valentine because it is red and red is not the girl’s favorite color. Mind you, red is a good color for a superhero and the girl is the boy’s favorite superhero. Could it be that maybe, just maybe, the boy is finding unique ways to make the girl’s Valentine’s Day special? Children are going to thoroughly enjoy this not-a-Valentine story that is actually a pretty good Valentine. We see, as the story unfolds, that the boy understands what the girl likes and dislikes. It would appear that he knows her quite well and likes her quite a lot. Though of course he is still NOT giving her a Valentine. Here is southern Oregon it has not been a very wintery winter. In fact, our ski mountain has not been able to open, and just yesterday I did not have to wear any kind of jacket when I went running. Meanwhile our friends in many other parts of the country and in Europe have been hammered by heavy snow falls, ice storms, and freezing temperatures. Needing a winter fix I chose to read today's wonderful picture book. On the pages you will meet two sisters who are very different in many ways, but who are also very alike. It is fascinating to see what each little girl chooses to do on a snowy day. 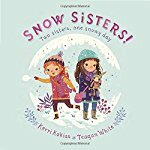 One morning two sisters wake up and they discover that it has snowed overnight. One sister, a pretty little redhead who is still clad in her nightgown, opens the front door to look at the snow covered garden with delight. The brown haired sister takes in the view from indoors. She is not as pleased by what she is seeing through the window. Finally the little redhead has had enough. She is cold and wet and she is ready to come inside to warm up. Her brown haired sister is now ready to take her turn outside. With smiles on their faces, the siblings greet each other as one comes inside and the other goes outside. Now it is the redhead’s turn to bake and make, to enjoy books, blankets and a cup of cocoa; and it is the brown haired sister’s turn to build a snow fort and throw snowballs. Children are going to love this beautiful seasonal book. It is interesting to see how different the two sisters in this story are. They technically do the same things (though they do them at different times), and yet the way in which they do these things is so different. With minimal text – just a few words on every page – the author of this little narrative gives readers a charming picture of a snowy day. I have a big soft spot in my bookish heart for graphic novels. I grew up reading the Tintin stories and The Adventures of Asterix the Gaul over and over again, so perhaps this is not surprising. These days quite a few publishing houses are creating beautiful graphic novels, and one of my favorite houses is First Second. Today I bring you a review of one of their titles, which delighted me when I read it. It is the first book in a series and I can't wait to see what happens next. Sunrise Valley is a pretty place, and the residents lead peaceful, normal lives. Most of them don’t think about the fact that the only reason that they are able live as they do is because of the dam. Long ago Pig’s father invented the dam to keep out the fog. The fog is a deadly phenomenon that killed Pig’s mother and countless others. Beyond the dam the fog has laid waste to the world. For some reason that no one can understand, after teaching Pig how to maintain the dam, his father walked out into the fog and is presumed dead. Now Pig manages the dam alone, making sure that it does what it is supposed to do to blow back the fog every time the black cloud rolls in and bares down on the village. Being the dam keeper means that Pig is not quite like everyone else. He knows the danger that lurks beyond the wall of the dam, and lives with the responsibility that his father left him to shoulder on his own. Fox is the only young animal in the village who seems to like Pig, and her friendship makes all the difference in his life. Unfortunately, Fox is friends with Hippo, and Hippo loves to bully Pig. Fox insists that Pig just needs to spend time with Hippo to see that the big guy isn’t all that bad; which is why she brings Hippo to the dam on day to see Pig. Pig is not best pleased to see Hippo, but he tries to be accommodating for Fox’s sake. Which is when the fog rolls in, and this time the wave is enormous. So enormous is it that the dam does not hold. Pig, Fox, and Hippo are dragged out into the wasteland beyond the dam when the fog pulls back. For the first time ever, Pig’s father’s invention does not hold back the darkness. This remarkable graphic novel takes readers into a world where danger is never that far, though most of the animals in Sunrise Valley don’t realize it. We see how Pig has been shaped by the loss in his life, and how he tries to come to terms with the fact that all is not what it seems. It turns out that there is something beyond the dam after all. This is the first title in what promises to be a wonderful series. I always enjoy reading books that writers have written about other writers. Often the stories we encounter in such books are incredibly perceptive, and it is interesting to see how the authors get into the minds of their subjects. Today we will encounter a book written by poets in which they explore the writing styles and the lives of twenty-five wonderful poets. It is a beautiful book and the respect that the authors have for the people that they write about is tangible and warming. Kwame Alexander had the privilege of growing up in a house where books were treasures and “words came alive.” He grew up loving poems in particular because a poem is “a small but powerful thing.” Poems allow us to connect with the people who wrote them on a very deep level; they inspire us, and in our minds they evolve as we grow and change. The book is divided into three parts. The first section looks at poets who developed singular styles in their writing that poetry lovers have grown to recognize. For example, in the poem In Every Season, Marjory Wentworth beautifully captures the free verse style favored by Robert Frost. She takes us to a farm where we walk with the narrator “through fields and woods.” We crunch on ice “through starless winter nights” and shake snow from the branches of trees. The final section serves as a tribute to the poets who have written poems that delight Kwame, Chris, and Marjorie in a special and very personal way. The poets that they feature in this section make the authors feel that “the poet is speaking directly to us, as if we are in the middle of a private conversation.” On these pages we find poems like No Idle Days, which celebrates William Carlos Williams. We read of the man who had “two lives / crammed / into one.” William Carlos Williams worked as a doctor, and in his spare moments, the few that he had, he scribbled away on his prescription pads. He was a man who crafted “a new American voice,” for ordinary people. Throughout this title the extraordinary poems are paired with beautiful multimedia artwork to give readers a special book experience. At the back of this remarkable collection readers will find biographies of the twenty-five poets who lives and works are celebrated in the book.